After 25 years, the Canadian Model Forest Network (CMFN), a Non-Government Organization created out of the Canadian government’s former Model Forest Program, has been forced to close down. The biggest obstacle faced by the CMFN was the end of its federal core funding in 2014. The federal government had funded the national organization since 2006, and each model forest since the early 1990s. Former Education Coordinator Bob Austman demonstrates the use of an increment borer to students from Steinbach Regional Secondary School. This instrument allows researchers to assess the age of a tree without harming it. 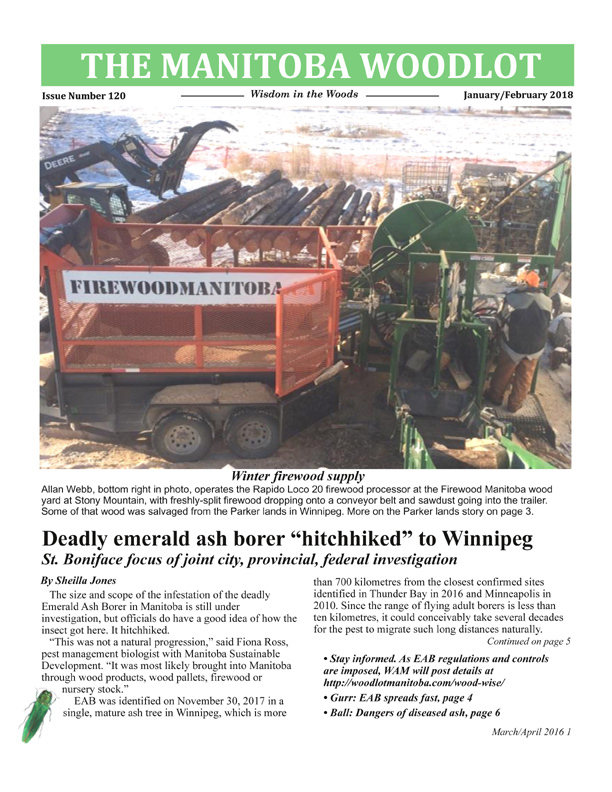 The Manitoba Model Forest not only lost its funding from the federal government in 2014, but the provincial government has also eliminated its funding support. It appears that the federal and provincial governments have lost interest in the forest management issues that triggered the creation of the model forest concept in the first place, and the multi-stakeholder approach that supported local communities in having a greater say in how forests are managed in their regions. 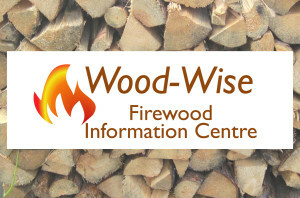 The Model Forest Network developed a unique partnership with stakeholders that allowed each provincial organization to concentrate on local issues and challenges specific to their area. CMFN has had its share of successes. For example, the document Pathways to Climate Change Resilience: A Guidebook for Canadian Forest-based Communities, released in 2011, provides a process for communities and municipalities to conduct climate change risk and vulnerability assessments, identifies actions that can be taken to reduce existing risks, and incorporates climate change mitigation into planning, including climate resilient and green infrastructure. This guidebook has been piloted successfully in two Indigenous communities in Canadian Model Forest areas (including one here in Manitoba), as well as in the city of Revelstoke, B.C. and in the Vilhelmina Model Forest, Sweden. The Manitoba Model Forest was established in 1992, and covers about 10-thousand square kilometres of forested land. It is bounded on the west by Lake Winnipeg and on the east by the Manitoba/Ontario border. The Manitoba organization has played an important role in working with educators, including development of several provincially-approved curriculum supplements on natural resources. One of the most popular curriculum supplements, called “The Wonderful World of the Woodland Caribou”, is for grades 10-12 Science and grade 12 biology. The MBMF also ran two outdoor education/natural resources programs (the Junior Rangers program and the KEY to the Forest Program) that saw high school students spend up to three weeks in the summer at the Manitoba Conservation Firefighting Training Centre at Shoe Lake in Nopiming Provincial Park. 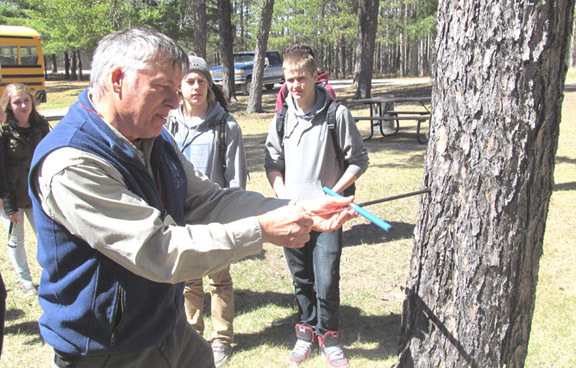 Both programs offered an opportunity for students to learn about forest management, wildlife and fisheries management through hands-on training. In addition, students at the Junior Ranger Program also earned training certificates in such skills as chainsaw safety, boating and ATV safety, firefighting and trapping. Other popular education programs are also in limbo due to a lack of funding. This includes the MBMF Summer Institute for Teachers, in which teachers of all grade levels learn about natural resource management during a week-long outdoor professional development program at Shoe Lake. The region has also lost, or is about to lose, other important model forest programs focused on wildlife and species at risk. The MBMF established the Eastern Manitoba Woodland Caribou Advisory Committee to conduct research on caribou habitat requirements and to develop strategies for managing caribou ranges. This is critically important these days considering the current federal requirement under the Species at Risk Act to develop recovery strategies for various caribou ranges. Due to a lack of funding, this committee has not met in more than 5 years. MBMF also created the multi-stakeholder Committee for Cooperative Moose Management in 1995, and has worked with stakeholders to monitor moose populations in the MBMF area to better understand the predator/prey dynamic between moose and wolves, and the role of hunting and parasites and disease in moose population dynamics. This valuable committee, which is nearing the completion of writing a status report on the moose population in the region, as well as recommendations to the provincial government for improved monitoring and management of moose in eastern Manitoba, is in serious risk of being lost due to a lack of funding from the provincial government. 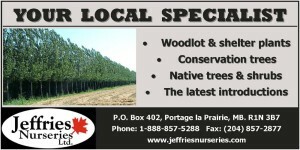 While the national CMFN office in Pine Falls is about to close, the Manitoba Model Forest is still hanging on. There will still be an informal network of model forests across Canada, which includes model forest organizations in Alberta, Saskatchewan, Ontario, Quebec, New Brunswick, Newfoundland and Labrador, and Manitoba. “We will continue to work together as an informal network,” said Brian Kotak, “and as members of the International Model Forest Network, sharing best practices and experiences in areas of mutual interests such as climate change resilience, landscape restoration and facilitating public participation in natural resource management issues.” It is such a shame that each year more and more model forest organizations are being developed around the globe, all based on the successful Canadian model, yet most of our remaining model forests in Canada are languishing due to a lack of financial support. The remaining seven model forests in Canada cover more than 12-million hectares of forested land.